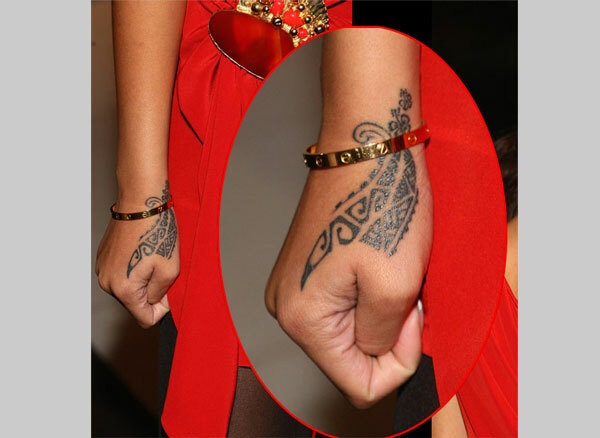 Rihana Tattoos are perfect and unique, and they Rihanna have a different taste for tattoos. She loves tattoo and she knows which place is the perfect on her body for a unique tattoo. Her Music career is successful and she is also known as her unique body tattoo art. She knows which place is perfect to get a tattoo for the maximum attention. 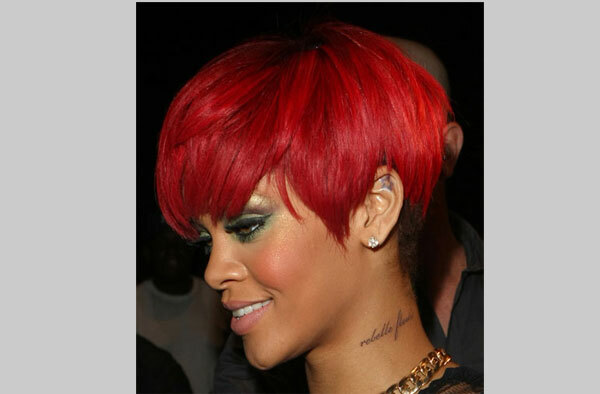 Rihanna got a total of 14 body tattoos owed from head to toe or more specifically from her neck to foot. Here I have collected all the 14 body tattoo of rihanna with their meaning. Checkout these if you will like these the you might surely love these tattoo designs which includes, Top 35 Tribal Tattoos For Men, Butterfly Tattoos, Butterfly Tattoos, Anne Hathaway Tattoos. It’s a star tattoo on her left ear which is actually a very unique place for getting a tattoo, but this place is best for getting the maximum attention. This tattoo is behind her right ear and closer to the neck area so this Pisces sign tattoos mostly hidden behind her ear. This tattoo design means rebellios flower in French which is written in a script “rebelle fleur”, this tattoo is on the left side of her neck. She got that motto in mirror writing which show a text “Never a failure, always a lesson”. Roman Neumerical date on her shoulder shows the Birth date of her assistant Melissa Forde. Melissa also got the similar tattoo design on her body. This tattoo “XI-IV-LXXXVI” shows that she truly loves her assistant. This is “A Trail of Stars” tattoo that starts from the neck and goes to her back, looks so striking and graceful. 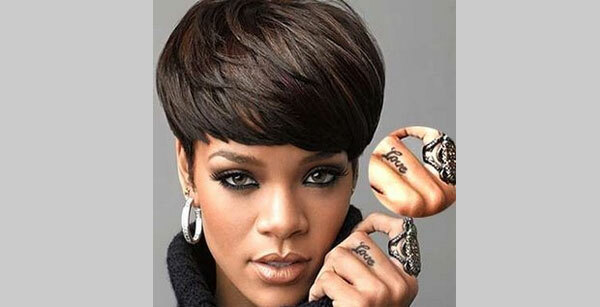 Rihanna got a tattoo written in an Arabic phrase which actually means that “Freedom Is God”. She some time shows off this tattoo. A word Love is pierced on the left middle finger of her hand. This is right way of showing her love. She got this “shhh…” tattoo on her right finger and its unique tattoo; it will help her when she wants to say some to keep quite without saying anything. It’s a Dragon claw on right Hand which looks really weird to me, I don’t know how you look at this tattoo, when some people say that a Henna-Styled Dragon claw tattoo. This tattoo is a small skull with crossed carcass and a pink hair bow which is placed slightly above her ankle. This shows her love and passion for the music industry in this way, as she got a Music Note tattoo on her ankle.